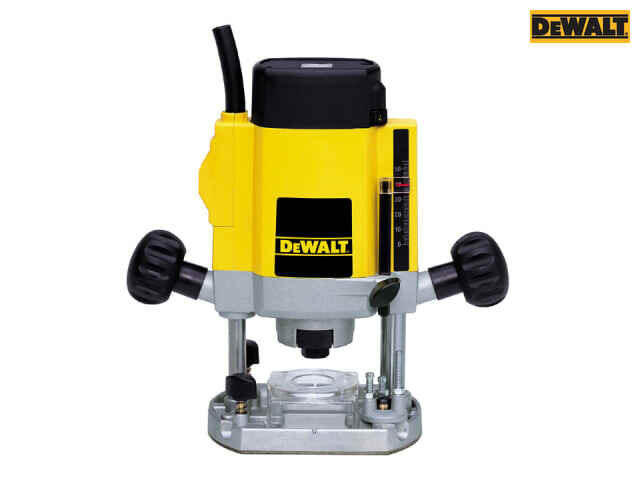 DEWALT professional plunge router has a lightweight and compact design, easy to handle as the cutter remains visible at all times. 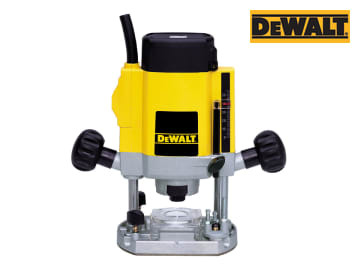 The electronic speed control ensures a fine finish on all grades of timber, aluminium and plastics. Features: soft start, three stages depth stop, spindle lock and two column guide for plunging accuracy. Supplied with: parallel fence and two guide rods, 17/13 mm and 8 mm spanner, 1/4in collet, 17 mm guide bush and dust extractor kit.